In what seems a blink of an eye, your babies aren’t quite so little anymore. Their personalities have blossomed and soon they have interests and styles all their own. Custom portrait sessions allow your child’s charisma to shine through while capturing the little things you don’t want to forget year after year! I want to provide you with true memories through our time together, something annual school photos just can't do. Children may have their portraits done individually during a family portrait session or you may schedule a session that is just for them! Portrait sessions may be held at my private outdoor location, at your home, or at another location of your choice with Atlanta children’s photographer, Simply Corey Photography. Themed mini sessions are available throughout the year and are a great way to get affordable up to date photos of your child! Sign up for the email newsletter or like and follow Simply Corey Photography on Facebook to receive announcements. More examples of my photography sessions with children can be found on the blog. 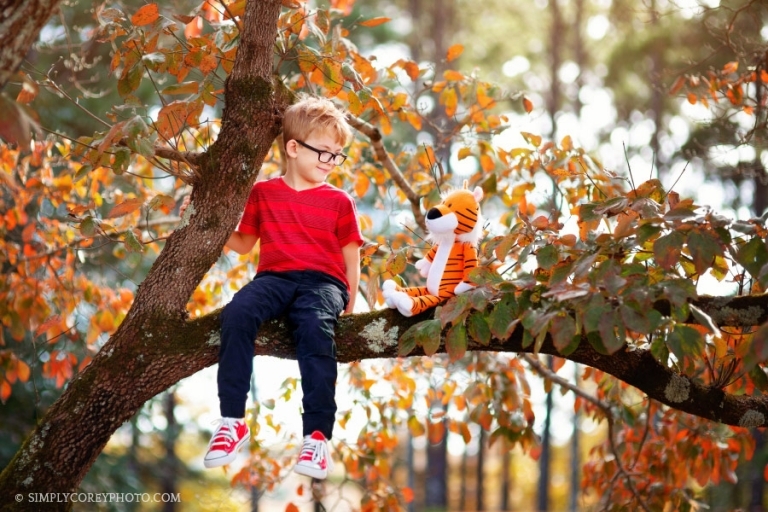 Are you interested in setting up a custom portrait session for your child? Send me an email to request my availability and detailed pricing!